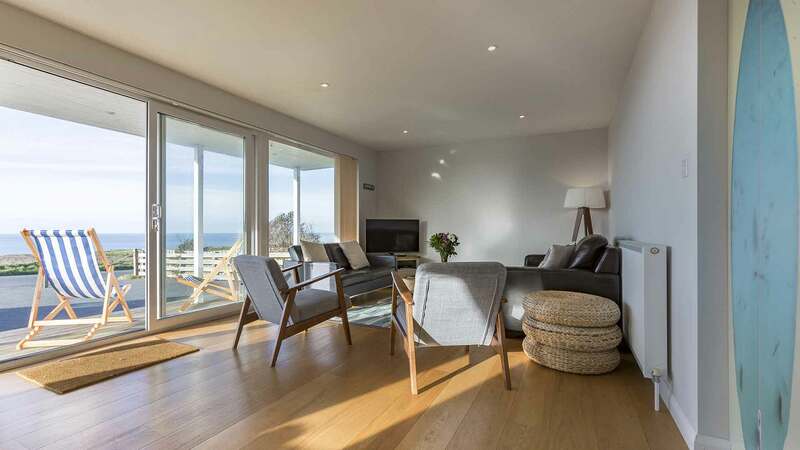 Poldare is a well-equipped and beautifully designed holiday home which boasts an enviable cliff top location with breathtaking views over the Atlantic Ocean! 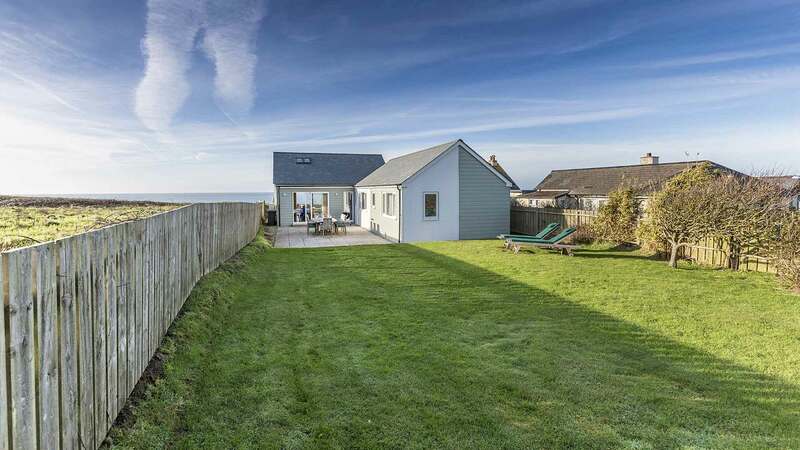 This 4 bedroom Kiwi Beach House is perfectly positioned right on the South West Coastal Path, making it within easy reach of fabulous local beaches. 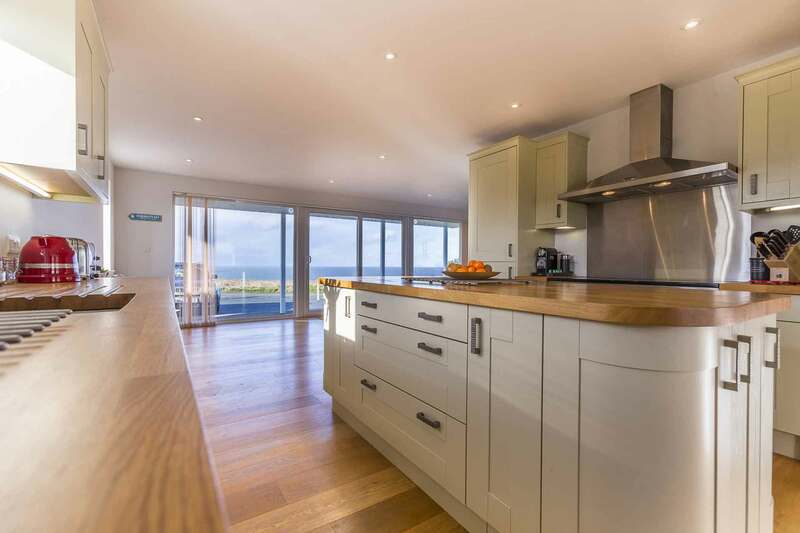 The stunning views over the North Cornwall coastline are not all this house has to offer. 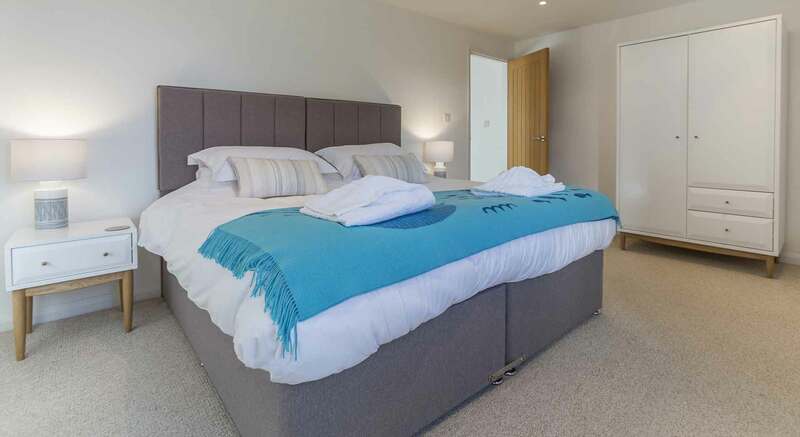 Sleeping 8 over 4 bedrooms, families will really appreciate the cabin beds and the versatility of the zip and link beds, providing an option of superking or twin in 2 of the bedrooms. 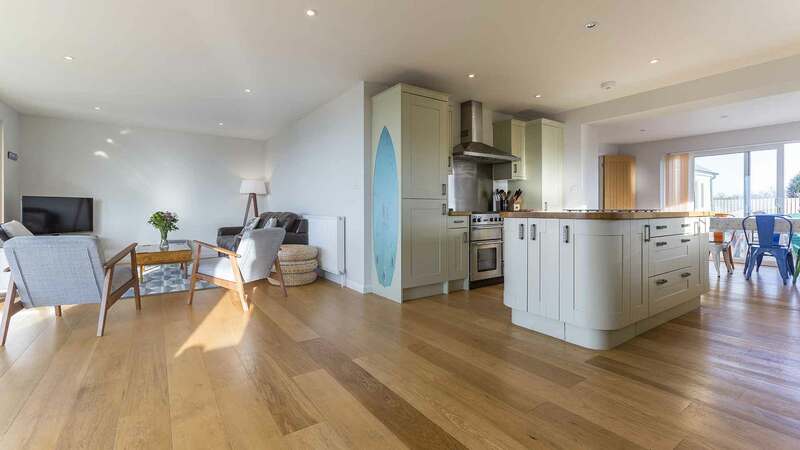 Perfect for families and friends the large open plan living area is home to the luxury kitchen which has been appointed with quality appliances, dining area and lounge. 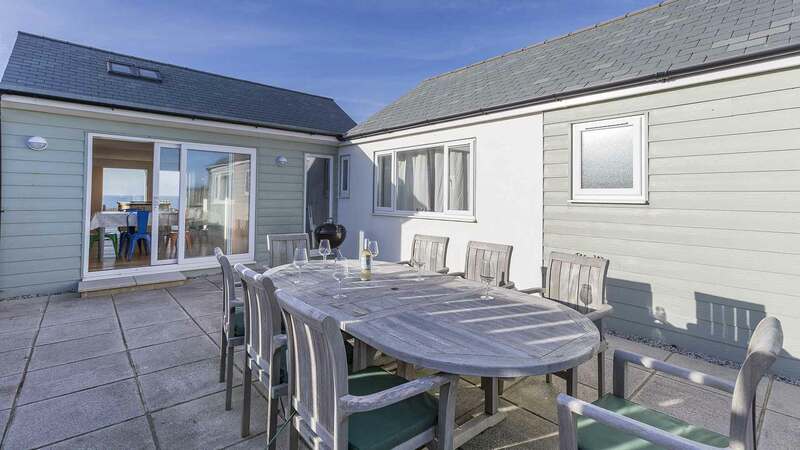 The private garden backs on to open farmland and has a large lawn which is perfect for games, and a lovely patio area with a garden table and BBQ. 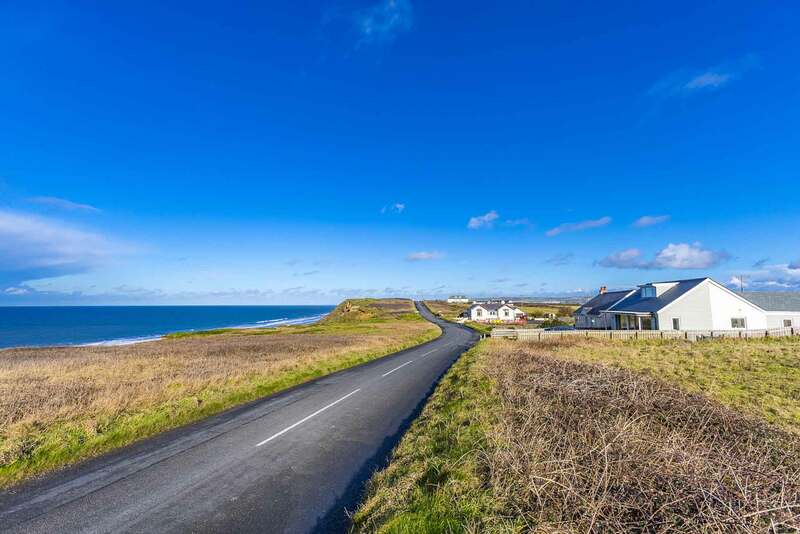 Widemouth Bay is renowned for its surfing and rolling sand dunes and has highly rated local cafes and restaurants. 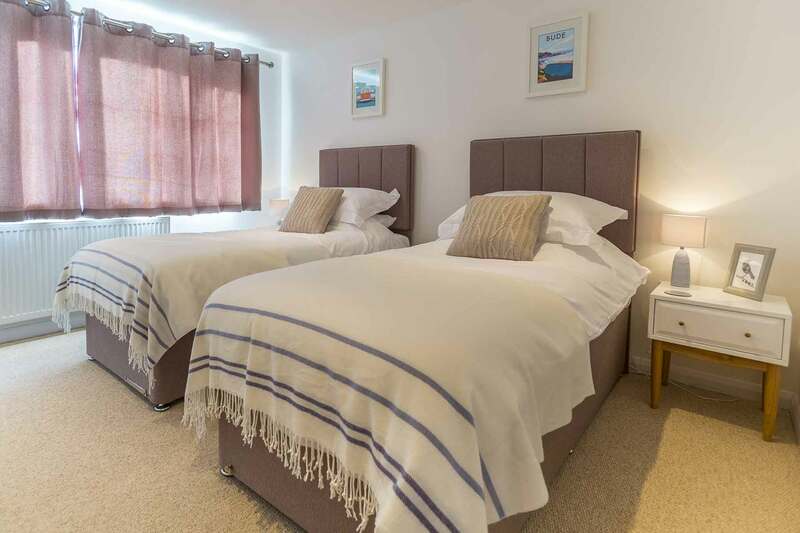 There is a small local shop, The Bay View Inn which offers good quality ales and the Elements restaurant is within walking distance which serves excellent food. 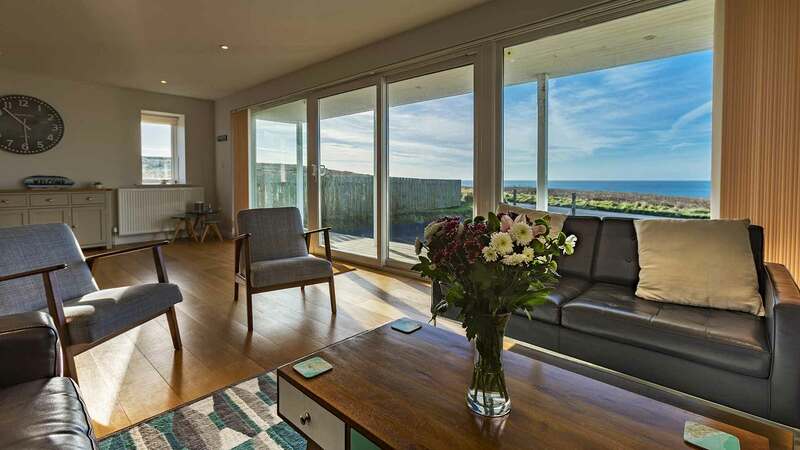 Bude town centre is only a short drive along the coast road for further beaches and shopping!